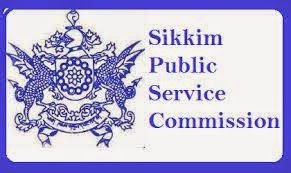 Sikkim Public Service Commission releases notification for the recruitment of posts of Head Master Secondary School & Principal Sr. Sec. School under HRDD, Govt. of Sikkim. Candidates can apply on or before 09-12-2014.
ii) Degree with B.Ed & 5 years service as Headmaster of Jr. High School or Asst. Education Officer. i) Master Degree with B.Ed with 10 years service as Post Graduate Teacher. ii) Maste Degree with B.Ed with 5 years service as Headmaster of Secondary School. Application Fee:- Rs. 150/- credited to '0051-SPSC' in the form of bank Receipt of State Bank of Sikkim. Candidates must submit "No Objection certificate" from the appointing authority.